A bungalow on Emmons Avenue, Brooklyn. Note the green sign by the door–it has been inspected and cleared for electricity should it ever come back. (okay, this is an homage to Bikesnobnyc, who likes background music to accompany his occasional rant): Open this link in another tab, then minimize the tab and let the music play as you go through the pictures here. 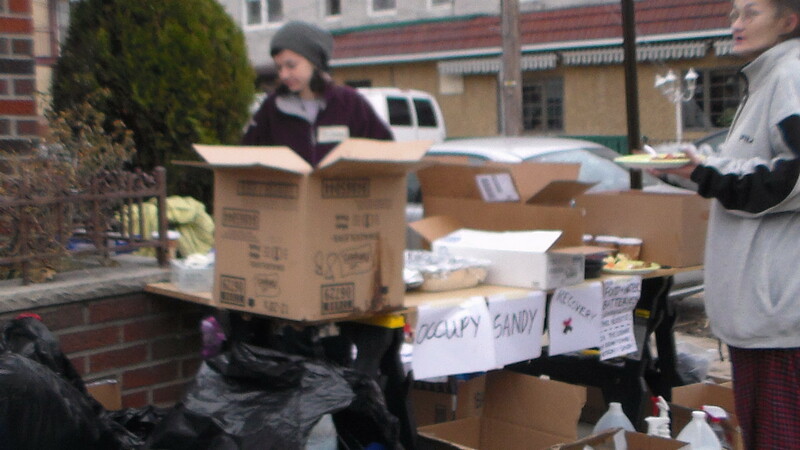 So I got up too late this AM to make the volunteer list for Occupy Sandy out in the Rockaways. But it was a reasonable day to take a bike ride, so I rode to Emmons Avenue via Bedford Avenue. There’s still evidence of Sandy all along Bedford–fallen trees, cars with broken glass or plastic bags over windshields. And Bedford at Voorhies Avenue still does not have electricity–I saw a convoy of four bucket trucks deployed, and the locals were standing on porches watching impatiently. Also on the trip–a gas tanker truck from Maryland, being escorted by a Parks Services (?) van with cop lights going. But it’s Emmons Avenue that has taken a hit–going East on Emmons toward the Belt Parkway/Greenway path, I saw very few active businesses. 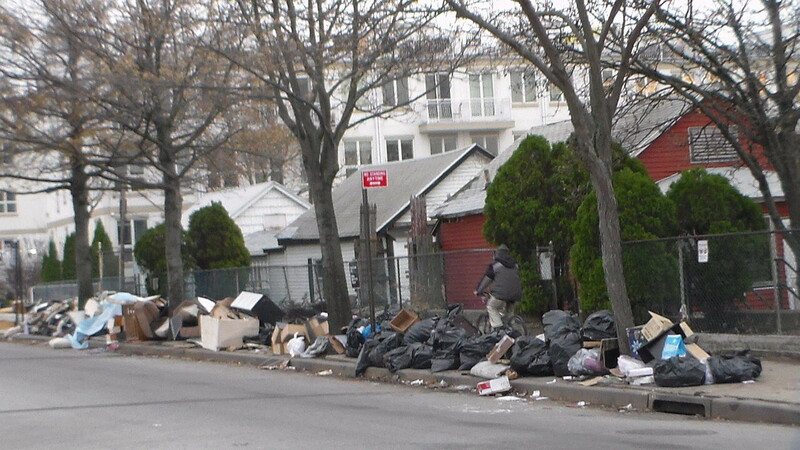 Huge piles of moldering trash were stacked up on the sidewalks and pathways. trash piles along the bungalows of Emmons Avenue. 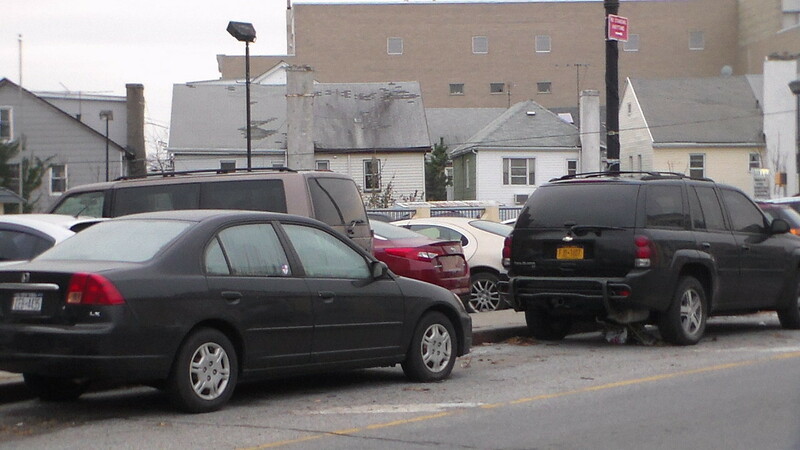 Lots of parked cars, too–and most were damaged. Some enterprising entrepreneur had posted fliers on windshields offering ‘top cash for your car regardless of condition’. Note the car on the left, with water damage on inside of windows. Lots of cars like this, with cars also abandoned on sidewalks or wherever they floated. But never got near Rockaway–the path is a disaster itself. It looks like someone emptied a giant dumpster into the reeds and bushes that separate the Belt from the water. Thousands of ripped and faded plastic bags adorn the trees and the ground. And the path is blocked off by fencing prior to Plumb Beach. This was the path entry, which smelled of mold and human waste. They’ve put up cyclone fencing to keep people off the path by Plumb Beach. And there’s no path now–just piles of sand where a path used to be. 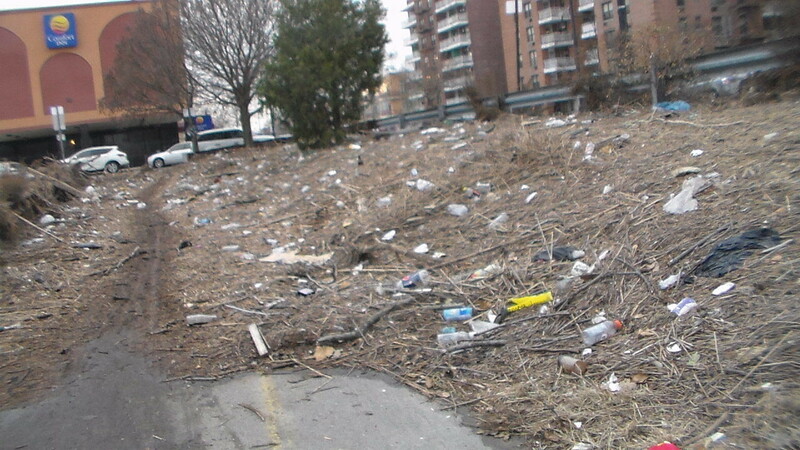 This is what the Greenway looks like for much of the first few blocks–garbage and smelly mud and refuse. The Comfort in sports a hand-written ‘closed’ sign. 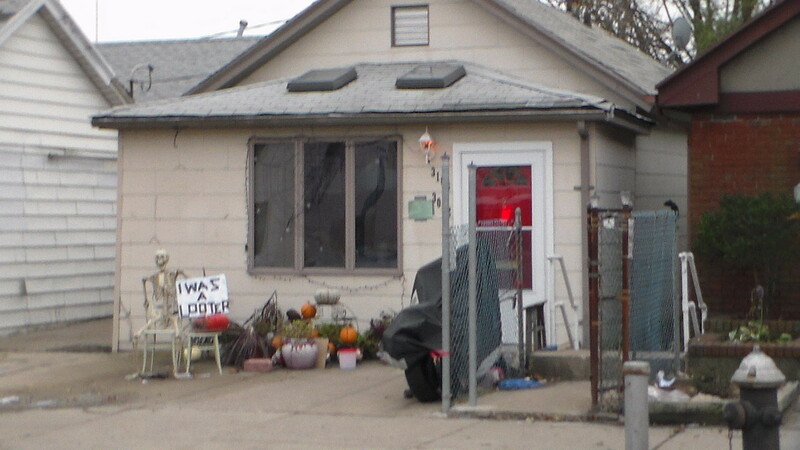 an Occupy Sandy outpost on Emmons. And there they were–two volunteers with masking-tape nametags (Alana and Gestry, I believe). And they were handing out plates of chili beans and cups of coffee, and there were big baskets of clothing and buckets full of cleaning supplies. I was told there were more supplies and helpers around the corner. 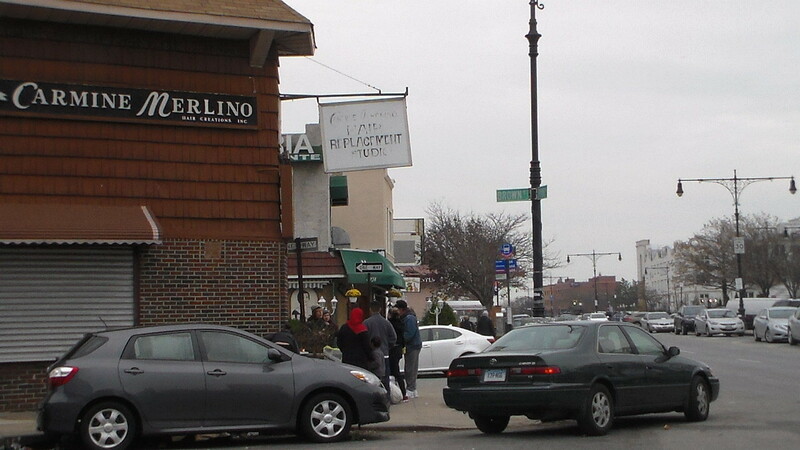 And that’s what Saturday looked like on Emmons Avenue 12 days after Sandy. I’ve ridden that bike route a couple hundred times over the past seven years, and it breaks my heart to see it this way. In a surrounding you will generally encounter form, which is a fungus. Athlete’s foot and jock itch are most frequent, and is caused by lack of air-circulation for that feet. People were not concerned about it before. The phenomenon post-Sandy is ‘black mold’ and it is a potent health hazard. Breathing in spores from such mold can cause a multitude of health effects, including severe allergies, asthma and potentially devastating and deadly illnesses for people with weak immune systems,especially elderly folks with breathing problems and anyone undergoing chemotherapy. Friends who were part of Occupy Sandy Relief were masked and put in white tyvec suits when doing mold remediation. And it isn’t cheap–full mold remediation for the homes still standing in NJ was running $25K..As far as I know, the spores from athlete’s foot don’t cause lung problems if inhaled.